MTDC approved home stay at Malvan beach lying on the west-south coast of Konkan. Beautifully crafted standard rooms offer you a hassle free stay at Tarkarli beach. Enjoy staying at the well appointed and creatively designed magnificent rooms at family resort Hotel Malvan beach that is located at the heart of the city, overlooking the Dandi beach lying on the west-south coast of Konkan which is a true extension of all that describes your personality. The roofs are tiled and the walls are done, you can expect a perfect blend of luxury, necessity, warmth, earthy tones and the essence from the maker’s thoughts in each of the aspects beautifully crafted in all the standard rooms of this Malvan homestay. Spacious rooms, each with a breathtaking view of the exotic beach where you get to enjoy the serene sounds and the mesmeric view right from your room’s veranda and windows adding over to your tour even more. The rooms are large, spacious and roomy to offer you an opportune, relaxed and laid back experience that would certainly rejuvenate your senses. This Hotel in Malvan offers all that you had desired for. All you have to do is pack your belongings and head towards this amazing experience, right here, right now! 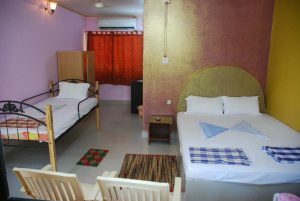 The passionate team at this homestay in Malvan is passionate to offer you a hassle free stay and never ending memories. You get all the possible facilities like interest, wifi, computers, while the place would not leave you with much time to waste in them. Dig deeper in to the never ending calms of the underwater world through scuba diving or sport the enchanting dolphins. Get real close to the remarkable nature right here at this Malvan Beach Hotel. 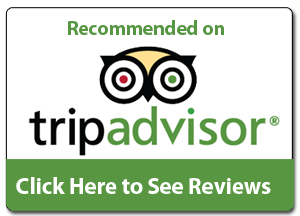 Enjoy the perfect stay with scrumptious breakfast, snacks and exotic dinners. The meals are prepared fresh and would fill your appetite with the perfect blend of flavors along with a diverse platter served with class and warmth right here. So, if wifi is your survival tool, here you go! Need a vehicle; we are typically a call away! Pick from a bike or a scooty to leisure around the beach land or opt for a car! Submerge in to the underwater world; try the magnetism of Scuba Diving in Malvan. We offer some amazing and thrilling waters sports and adventure activities just for you!